The best grinder for fresh coffee beans is a burr grinder. Thus, this grinder is a coffee-lover’s best friend, since freshly ground beans make the best brews! The science behind it is simple – ground beans start to go stale and lose flavor quickly. Even whole beans do this to an extent. However, by grinding them shortly before use you can increase the surface area of the bean and will have a much better cup of coffee. Thus, if you want that perfect, great-tasting coffee with every brew, then you will need to buy coffee beans and grind them at home. 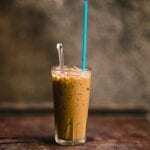 So, if you’re ready to start grinding beans at home then read on for information about how a burr grinder works. When choosing a burr grinder you first need to decide between a high speed direct grinder or a lower speed grinder. While both will get the job done, the lower speed one will result in a better grind, although they are loud. Make sure you pick a grinder that has adjustable grind sizes so that you can really personalize your cup of coffee. 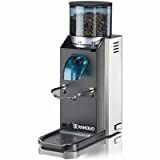 One without a built-in doser, where beans sit before being ground, will also help you keep your beans fresher longer, as you’ll put them into the grinder as you want to use them. There are a few burr grinders on the market that are hands down, amazing. However, the problem with a great burr grinder is that they are expensive. 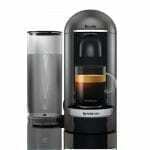 Rancilio, for example, makes an amazing burr grinder that will not only meet your expectations, but far exceed them. 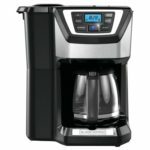 The Rancilio is a commercial grade burr grinder that most home coffee lovers would love to have in their kitchen. 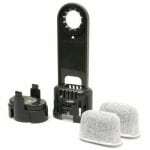 It has a high speed motor means that is quieter than a lot of its competitors, and features a simple and easy to use grind size adjustment. 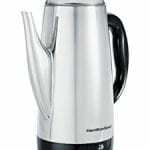 It’s perfect for grinding fine grounds like espresso or coarser ones, depending on your personal preference. 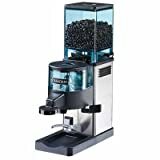 It does have a hopper, which normally means that users will fill it up and let their beans become stale, but since it’s tinted, it does a great job at keeping the beans fresh. 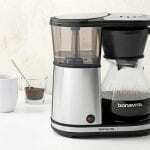 This feature is amazing and one that other mill grinders would be wise to adopt, as it makes it simple for users to not have to worry about the freshness of their beans. 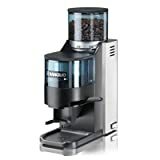 The Rancilio coffee grinder comes factory-tested, so you have the peace of mind knowing that it already works perfectly. 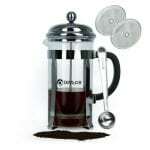 It’s easy to clean and to use, and if you want to grind a large amount of coffee you can do almost 8 pounds an hour. At almost 15.5 pounds, it’s heavy enough that it won’t move on your counter due to the grinding action, but still can be lifted and moved around by most people. No matter how much coffee you drink, you’ll find that you’ve never had a cup like one from beans ground in the Rancilio. The flavor is fresh and full. You may even have to use fewer grounds than before! 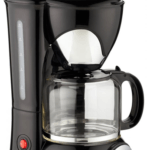 A burr grinder would make a great gift for a loved one, or even for yourself! 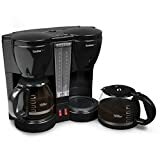 Anyone who enjoys a great cup of coffee would love the ease, utility, and appearance of this burr coffee grinder. Purchasing a grinder is a lot like purchasing a coffee machine. 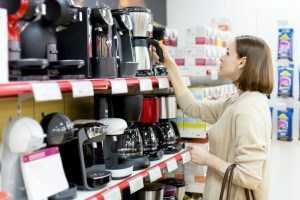 You will need to do ample research on your choice and perhaps look at a few competitor brands and compare the features. Price is also an important consideration when making any purchase. Make sure your choice doesn’t put a huge dent your pocket – it’s pointless purchasing a grinder then being unable to afford coffee beans until the following month. When doing research, ensure that you look at expert and customer reviews as well. Previous customer reviews will give you a clear idea of whether the product is worth buying or not. Ensure that you have the space for it! Many times people purchase a product and then discover they have no available space in their home. Your need to have enough space on your countertop for the grinder. Therefore, if you have a small kitchen, you’ll need a small grinder. Of course, these grinders are pricey, and you may need to look into alternatives. However, if your budget can afford it then it would make a great household asset. Keep in mind, it is entirely pointless purchasing a grinder if you have no coffee maker. 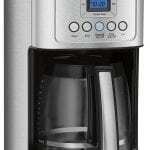 If you are looking to purchase a grinder and a coffee maker, the grind-and-brew coffee maker could be an easier and cheaper solution. 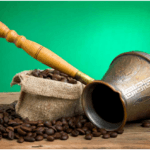 You might also like this: How Many Different Types of Coffees Do You Know About?